Alluka is the younger sister of main character Killua Zoldyck, hailing from the same family of assassins. The dual nature of Alluka's character is linked with her special ability, which will be explained in a bit. This particular name is a very simple Japanese pun which is rendered incredibly effective in context, which speaks highly of author Togashi Yoshihiro's wit and ability to breathe life into his characters. 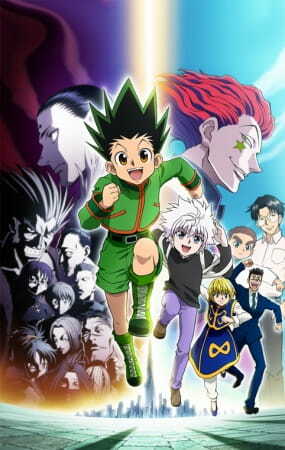 For those unfamiliar with Hunter x Hunter, the series follows 12-year-old Gon Freecss, a young boy who wishes to follow in his absent father's footsteps and become a Hunter. Hunters are individuals who stand up to danger in order to perform various tasks and Gon wishes to become one in order to find his father. 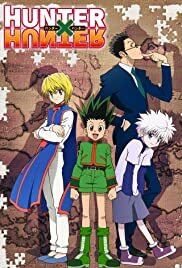 Becoming a Hunter is a treacherous path, a fact which Gon soon learns; however, with the help of Leorio, Killua and Kurapika, friends he meets along the way, Gon finds himself en route to achieving his goal. Alluka is a soulless little girl – literally. Due to the circumstances of Alluka’s birth, she has no soul and therefore feels no emotions; however, she does express genuine affection whenever she’s with her closest brother, Killua. When she a toddler, she got one of the family servants to fulfill three simple requests; after which her eyes and mouth turned pitch black. Without going into too much detail about how the nature of her abilities was discovered, it turns out that fulfilling three of Alluka’s requests grants an individual an opportunity to request anything from Alluka once she goes into her creepy wish-granting mode. The scope of this wish is infinite – the catch is that the severity of Alluka’s requests increases in proportion to the scope of the previous wish, which can be catastrophic!